Today is the Solstice, and speaking of the longest day, I found out today that an old mate of mine had died. Yes, Bill Millen, the piper who led the troops ashore on D-Day was a friend of mine. He is best remembered for playing the bagpipes whilst under fire during the D-Day landing in Normandy. Pipers had traditionally been used in battle by Scottish and Irish soldiers. However, the use of bagpipes was restricted to rear areas by the time of the Second World War by the British Army. Lord Lovat, nevertheless, ignored these orders and ordered Millin, then aged 21, to play. When Private Millin demurred, citing the regulations, he recalled later, Lord Lovat replied: “Ah, but that’s the English War Office. You and I are both Scottish, and that doesn’t apply.” He played "Hielan' Laddie" and "The Road to the Isles" as his comrades fell around him on Sword Beach. Millin states that he later talked to captured German snipers who claimed they did not shoot at him because they thought he was crazy. Millin, whom Lovat had appointed his personal piper during commando training at Achnacarry, near Fort William in Scotland, was the only man during the landing who wore a kilt – it was the same Cameron tartan kilt his father had worn in Flanders during World War I – and he was armed only with his pipes and the sgian-dubh, or "black knife", sheathed inside his kilt-hose on the right side. In the mid 1980s when I was a student nurse and he was the Senior Nurse (nights) we bonded over cheap whisky in the Staff Social Club at Langdon Hospital near Dawlish. I hadn't seen him for over 25 years, but it was still a pang when I found out that he had died back in 2010. This week, however, I found that he has been commemorated by a life sized bronze statue of him which was unveiled on 8 June 2013 at Colleville-Montgomery, near Sword Beach, in France. 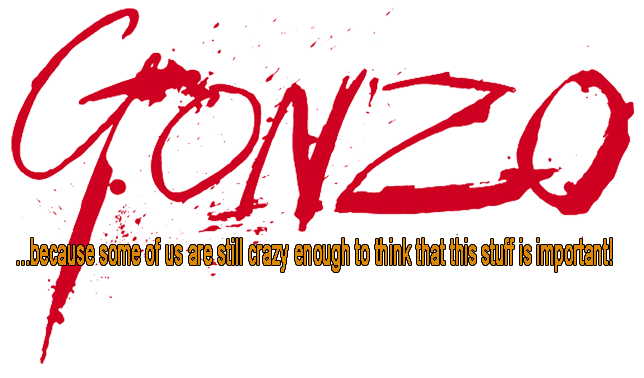 What's new on the Gonzo Daily? * Jon Downes, the Editor of all these ventures (and several others) is an old hippy of 53 who - together with his orange cat (who is currently on sick leave in Staffordshire) and two very small kittens (one of whom is also orange) puts it all together from a converted potato shed in a tumbledown cottage deep in rural Devon which he shares with various fish, and sometimes a small Indian frog. He is ably assisted by his lovely wife Corinna, his bulldog/boxer Prudence, his elderly mother-in-law, and a motley collection of social malcontents. Plus.. did we mention the orange cat?